Sharjah is unique and offers a lot to foreign investors with its well-developed infrastructure to establish business and run it successfully. This was echoed during the first panel discussion titled 'Sharjah as an unrivalled gateway for international expansion' on the first day of the Sharjah FDI Forum. Panelists included Badr Jafar, CEO of Crescent Enterprises and president of Crescent Petroleum; Hussain Mohammed Al Mahmoudi, CEO of American University of Sharjah Enterprises; and Dr Khalid Omar Al Midfa, director-general, Sharjah Media Corporation. The panel was moderated by Courtney Fingar, editor-in-chief, fDi Magazine, Financial Times. Jafar said: "The Crescent Group is a 45-year-old homegrown Sharjah success story of a global business, realised by the conducive business environment and the vision of the government of Sharjah to grow and diversify the economy." 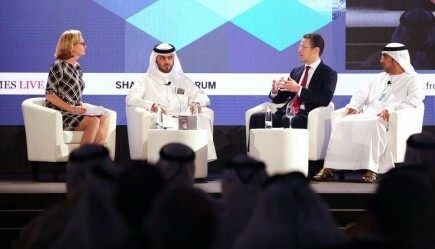 "Sharjah, with its strategic location, varied sectors, well-developed infrastructure, progressive government policies and access to talent, offers an attractive ecosystem that helps businesses in the emirate stay ahead of the game," he added. Moreover, Sharjah has developed a niche as a cultural hub and has laid the groundwork for cultural diplomacy over many decades, offering a key differentiator in today's complex geopolitical environment wherein 'cultural economics' play an important role in international business, he said. Al Mahmoudi said that His Highness Dr Shaikh Sultan bin Mohammed Al Qasimi, Member of the Supreme Council and Ruler of Sharjah, gives great importance to the education sector. The emirate gives a balanced approach to education, human development, culture and art, he said. "Sharjah is a place that offers unique aspects of Arabian culture - this is its strength. We need to maintain that essence as we diversify our economy and bring in more foreign direct investment. People are attracted to Sharjah because of the environment it provides. We should work to dispel any misconceptions about the emirate and highlight its special attributes as a place to live, work and do business," he said. He mentioned that Sharjah is taking education to the next level of innovation and R&D (research and development). Referring to the University City Sharjah, he said there are some of the strongest home grown universities in addition to international universities. There are more than 20,000 students and they can take R&D to the next level by working with international institutions. "The education system cannot work alone and the business sector also cannot work alone, so we want to build an alliance. It's greenfield investment and Sharjah is well-positioned to take it further." Dr Al Midfa explained how the hugely-anticipated Sharjah Media City was a key plank in the Sharjah government's policy to pull in foreign direct investment, with the development scheduled to open in the first quarter of 2017. "Sharjah's media sector benefits from the holistic vision of its government, which is working to expand all sectors of the emirate. Sharjah Media City is a key element in this strategy and has been set up to be a major media hub in the region. It is expected that the free zone will pull in foreign direct investment by drawing in companies wanting to start businesses in the media fields, as well as individual freelancers and other professionals in the sector," he said. Al Midfa announced that Sharjah Media City will start issuing licences in the first quarter of next year. 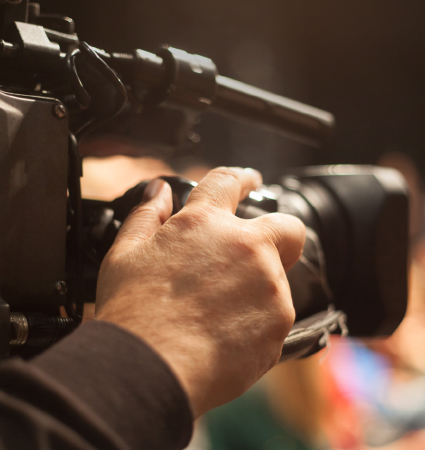 Talking about more than 20,000 students in the University City of Sharjah, he said that by utilising these talents, Sharjah will help the media sector to present what the emirate has to offer. "We have great hope with homegrown media companies formed by entrepreneurs and graduates to help propagate the message Sharjah is trying to reach out to the world," he said.